First, when Pakistan made disagreement with the presence of a specific number of the Indian troops to remain in Kashmir at the time of plebiscite. Proposed to be 27, 000 security men, they would stay put for “security purposes” and remain “within barracks” only. But, on this “trivial matter”, Pakistan was not ready for allowing their presence in Kashmir. Even though Sheikh is not specific in details, the readers of Sheikh’s biography seek to know more about these incidents. There are two issues involved in this statement – the issue of de-militarization and the issue of the plebiscite. As the winter set in 1947, it was difficult for the Indian troops to repel the “aggressor”. On January 1, 1948, India lodged a complaint under Articles 34 and 35 of the UN Charter against Pakistan’s alleged support for tribesmen with the “certain” hope that UN would declare Pakistan an “aggressor”. But, the advocacy of Pakistan’s case by its Foreign Minister, Sir Zafrullah Khan, (see A M Mattu, Kashmir Issue, 2002 pp 35), resulted in UN Security Council passing Resolution 39 on January 20, 1948, that set-up United Nation’s Commission for India and Pakistan (UNCIP) which eventually “succeeded in stopping the fighting and had secured a cease-fire which became effective on 1st January, 1949”. (see Danger in Kashmir, Josef Korbel, 1954). 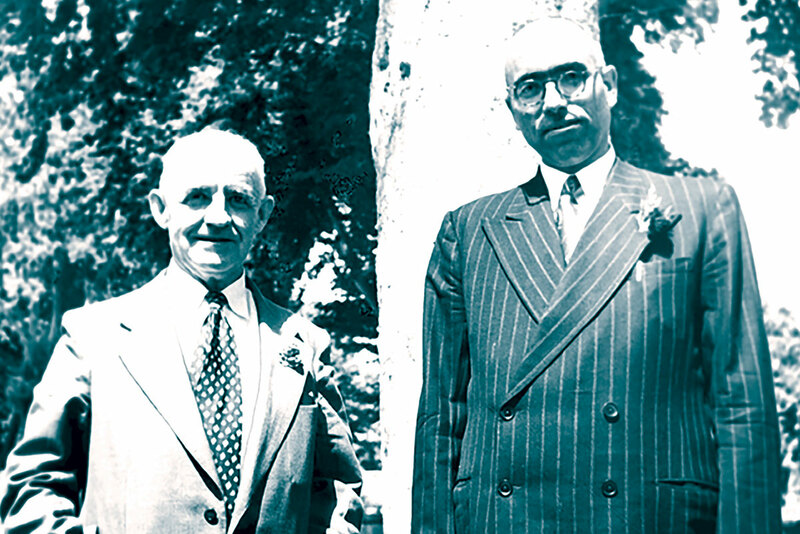 “The Indian press was highly critical of the Security Council Resolution for not having condemned Pakistan as an aggressor, insisting that reports were still coming in of her complicity in building the military strength of the Azad revolutionaries …… [India] sent a letter of protest to the UN and refused cooperation in any implementation of the resolution”. (Ibid, p 112, citing New York Herald Tribune, April 25, 1948, suggesting Nehru declared Resolutions unreasonable and India would neither execute nor accept it). Though UNCIP laid the groundwork for demilitarization and plebiscite, it eluded an agreement between Pakistan and India to many of its points. There was a division of opinion on several issues among its five members. Finally, it was suggested to the UN that entire issue of Jammu and Kashmir should be handled by “one man” only. Pursuant to the UNCIP report followed by elaborate discussions in December 1949, the UN Security Council passed Resolution 80, on March 14, 1950, which terminated the UNCIP. It appointed an “informal mediator” or special representative General A G L McNaughton to assist the two nations in demilitarizing Kashmir as a prelude to finding a permanent solution to the dispute. In Srinagar, on October 27, 1950, “General Council of All Jammu and Kashmir National Conference” passed a resolution, recommending the convening of a Constituent Assembly for determining the “the Future shape and affiliation of the State of J and K”. (see Kashmir Reader September 22, 2016). Facts notwithstanding, the NC has been maintaining this position, even today. “To this day, I fail to understand why we in India feel so apologetic that this UN referendum never took place,” Omar Abdullah was quoted saying by The Economic Times in October 10, 2016, at a seminar titled India and Pakistan: A Sub-continental Affair, which was arranged by the New York University students on their campus. “The onus wasn’t on India to create the conditions for that referendum”. This contention is a replica of the Government of India’s official stand (see Ministry of External Affairs website article Public Diplomacy, dated April 1, 2003). Since both the claims are in pari materia, obviously, must be read together as one statement only. Some Western and Indian scholars also state that Pakistan’s failure to withdraw its troops from Jammu and Kashmir led to non-implementation of the plebiscite. But how is history supporting this contention? The actual facts about the assertion of demilitarisation are to be found in the light of the discussions that UN representative, Dr Frank P Graham, held with Pakistani and Indian representatives in New York on July 16, 1952, and October 5, 1952. In his proposals before both the sides, Graham suggested that 6000 “Azad Kashmir” forces and 3500 Gilgit and Northern Scouts should be left on the Pakistani side of the cease-fire line; while 18000 Indian forces and State armed forces and 6000 State militia should be left on the Indian side. Pakistan accepted the proposal but India rejected the proposal by holding that it was impossible for it to reduce “absolute minimum” or “very minimum” figure of 21,000 Indian soldiers with armour and artillery and that there should be complete disbandment and disarming of the “Azad Kashmir Force”. (see Saraf, 2009 Vol. II, page 1087; Jyoti Bhushan Das Gupta, J and K, 1968, pages 177-178) Hence occured the deadlock. But, who precisely was responsible for the deadlock? Graham revealed all this in UN Mediatory Report on Kashmir submitted by to UN on October 25, 1967. Seemingly, this is the only single UN document available which explains the deadlock involved in the withdrawal of forces and the reason for Pakistan’s failure to withdraw all of its forces from the State. Did Pakistan oppose the idea of “limited plebiscite” is yet another riddle? The fact is that the Dixon plan of the limited /zonal /regional plebiscite was not the first plan suggested by him. 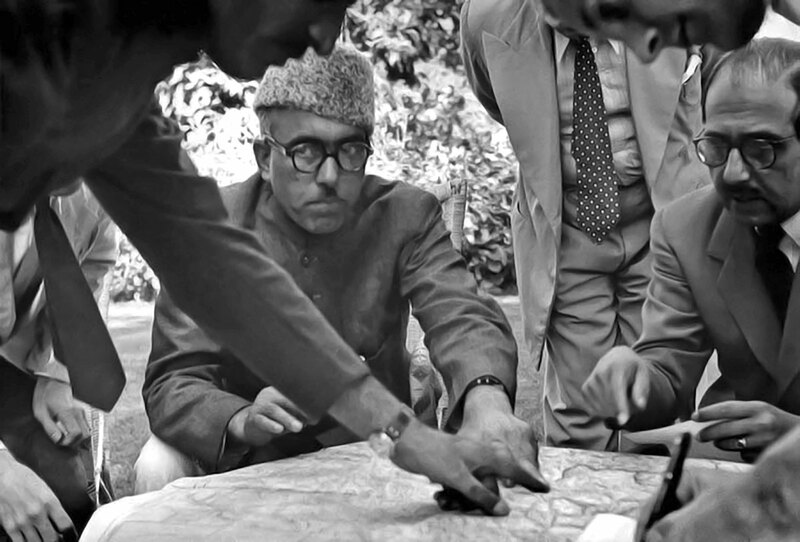 Sheikh Mohammad Abdullah with UN officials working on a map in Srinagar. Pakistan initially did not seem inclined to accept the plan as it believed that under related UN Resolutions the “single plebiscite” was to be held for the “entire State” and that too under UN supervision and control. (Ibid). Sheikh has written that Pakistan was adamant on his removal “though India had assured them of my government’s neutrality”, (see Blazing Chinar,2016, page 336) implying clearly Pakistan apprehension. In the same lines, he corroborates Pakistan’s apprehension by stating that his removal from the government, in Indian opinion, “would have been a virtual declaration of Pakistan’s victory even before the plebiscite was held”. (Ibid) “With Sheikh Abdullah at the helm, Nehru believed, the Vale of Kashmir would opt for India”. (see Lamb, page 172) Was not a resignation from the public office an options for Sheikh?